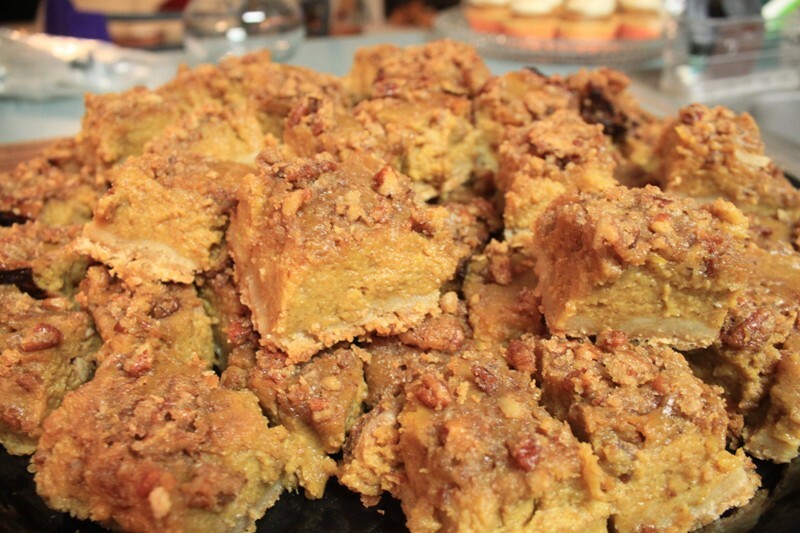 Pumpkin Bars | Rosetta Bakes! If you love pumpkin pie, then you are going to love this recipe. These bars are soft and yummy just like pumpkin pie. This would be a good recipe to use for a beginning baker who is afraid to make a pumpkin pie. These bars are spicy just like pumpkin pie, and they are very easy to make! I absolutely love fall baking! When these bars are baking, the aroma fills the house with pumpkin pie scent and that is definitely a smell I love to have in my house in the fall. I took these to work and they were loved by all…and that is a good thing in my book! I hope you enjoy these bars the way my co-workers did, and the way I do! 1. Preheat oven to 350F. In a large bowl, stir together flour, sugar, baking powder, cinnamon, baking soda, salt and cloves. Add eggs, pumpkin and vegetable oil; stir until combined. Spread batter evenly into an ungreased 15 x 10 x 1-inch baking pan. 2. Bake in the preheated oven for 25 to 30 minutes or until a toothpick inserted near the center comes out clean. Cool in pan on a wire rack for 2 hours. In a small saucepan heat 1/3 cup butter until butter over low heat until melted. Continued heating until butter turns a light golden brown. Remove from heat. In a large bowl, combine 3 cups powdered sugar, 2 Tablespoons milk, and 1 teaspoon vanilla. Add browned butter. Beat with an electric mixer on low speed until combined. Beat on medium speed until spreading consistency, adding additional milk if necessary. Makes 1 and 1/2 cups. Recipe from Better Homes and Gardens Fall Baking Magazine.